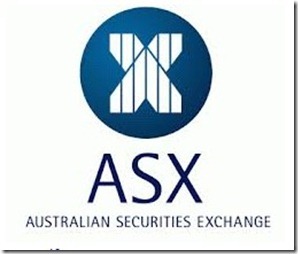 For someone new to changing on the Australian Stock Exchange market, or “ASX”, the process can be a bit overwhelming. Not only is there a seemingly huge learning curve, but you’re actually risking your own money – meaning the stakes are much higher than they are in practice sessions. No matter how large or small your share trading goals, this guide will help you understand the ASX market, how shares are exchanged, and how you can get started without losing your shirt in the process. To facilitate share transactions, you need an account through some sort of a broker or internet trading platform. If you want to avoid the hassle of dealing with commissioned brokers, you’ll probably want to use a trading platform such as E*trade Australia . Sites like this allow you to easily manage your portfolio without paying an excessive commission or dealing with anyone in person. Once your account is active, this is probably the most difficult part. The entire ends and outs of the share trading game is obviously beyond the scope of this one article, so you’ll want to do plenty of research to understand the market before laying any of your own money down on the line. As a quick overview of your options, you have two primary options. You can choose to invest in blue chip companies, which are corporate in nature, stable, and consist of large companies who are ideal for long term investments. On the other side of the board, you have startups, which are somewhat more risky, but much more likely to yield a fast return. This profile makes them better suited for making a quick buck. 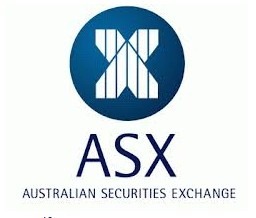 If you’re new to trading on the ASX market, you can probably see the advantage of blue chip investments. The long history of stability in these companies makes your investment much more solid. It’s best to save the startup investments for when you have a bit more experience. To make the most of your trading experience, there are a few hints to keep in mind. First, before you make any trades, get a thorough feel for the market. Learn the terminology, the structure of the market, and understand basic cause-and-effect behind price jumps. Second, always formulate a strategy before you start trading. You want to have a clear plan, and follow it closely at all times. Many new traders jump in without clear goals or strategies, and quickly end up in over their head. Finally, clearly specify your entry and exit rules. Define exactly when you will buy a share, and precisely when you will sell. Doing this removes the newbie trader’s number one enemy, which is the emotional factor. Planned systems produce much greater returns than gut feelings. Trading on the ASX market is no piece of cake, but with these tips, you’ll be off to a great start!